Hypothyroidism, or simply hypothyroid, is a serious medical condition usually caused by the inability of the thyroid gland to produce sufficient amounts of thyroid hormones. In infants, the common form of this disease is called cretinism. Possible causes include postpartum thyroiditis, Hashimoto’s thyroiditis and iodine deficiency. 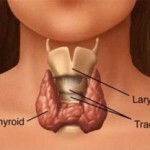 Know more about this interesting disease by taking a quick look at the different major and minor hypothyroid symptoms. When suffering from this medical condition, patients manifest early signs like depression, increased sensitivity to cold and poor muscle tone. In addition, they may also have goiter, carpal tunnel syndrome and muscle cramps. Joint pain, fatigue and brittle fingernails are amongst the other visible symptoms of this disease. During this stage of the disease, patients can experience other undesirable signs such as constipation, low heart rate and weight gain. Furthermore, they can also develop dry skin, decreased sweating and paleness. When left untreated, these minor signs can turn into major symptoms such as low basal body temperature, abnormal menstrual cycles and dry puffy skin on the face. Likewise, there is also a thinning of the outer eyebrows and deepening of voice. In addition to all these signs, patients may also experience less common symptoms like decreased sense of smell, decreased libido and elevated levels of serum cholesterol. Hair loss, slow heart rate and impaired cognitive function are also bound to happen for patients. When diagnosing this medical problem, doctors can perform routine physical exams on patients. A series of blood tests can also be performed on them. The primary purpose of these tests is to measure the different vital aspects of the disease including the amount of thyroid-stimulating hormone, triiodothyronine and thyroxine. As part of these tests, other important aspects are to be considered such as basal body temperature, serum cholesterol and anti-thyroid antibodies. 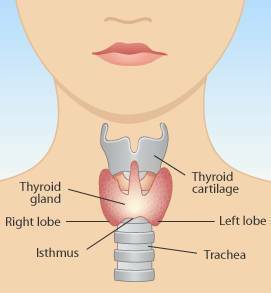 For the treatment of this disease, patients need to take the synthetic thyroid hormone called levothyroxine. Three of the leading brands are Synthroid, Levoxyl and Levothroid. These medications are important for patients because they can restore hormones into more adequate levels. After a week or two, they can feel improvements including lower cholesterol levels. However, patients must take levothyroxine with utmost care because excessive amounts can lead to side effects like heart palpitations, insomnia as well as increased appetite. Moreover, eating high-fiber diet and lots of soy products can also enhance the overall condition of patients. They can also feel much better if they are to take other medications including calcium supplements, cholestyramine and iron supplements. It is also good for their general condition to take aluminum hydroxide, which is a common ingredient of antacids.